5 great reasons to use Youtube in your marketing - increase your reach. 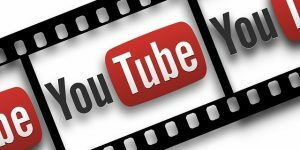 In this post we’re sharing 5 great reasons to use Youtube in your marketing. Youtube really is the unsung hero of social media but it’s actually more widely used than all other platforms. Today, I’m going to be sharing with you five great reasons why you should be using YouTube in your marketing on a more regular basis. We use YouTube a lot. You’re probably watching this on a YouTube video right now, and it’s certainly helped our business to expand our marketing reach. So why is YouTube such a fantastic place to promote your business? Well, first of all, it’s free. It’s a free marketing channel that you can use to not only promote your business, but connect with other businesses, as well as it being a great learning and entertainment tool. But, to be honest, it’s a social media and it’s one that’s grossly overlooked by the overwhelming majority of small businesses. This, in my view, is just a travesty because a lot of people will spend lot of time and effort between Facebook and Twitter and not fully understand what they’re getting for their money. But, in my view — and I’ll tell you why in a minute — YouTube in many ways is better than those channels for a lot of businesses. So let’s have a look at reason number one. One of the reasons I like YouTube and I like video in general is it’s very easy and quick to get a message across, more so than you ever could in any kind of other medium, such as text or social media. In 60 seconds, you can say more than you could in several pages of the written word, and goodness knows how many tweets and Facebook updates etc. So, from that point of view, it makes it easy to communicate with your target market. And not only that, if there’s a person talking to you when you’re on a website, it brings a human element to your website. In other words, with somebody talking to you, it makes a human connection. And even today with our electronic transaction-based world, people still love to do business with people. Reason 2: It’s quick and it’s easy. I’m recording this video on a smartphone. I’ve got no special gear other than a tripod and a grabber, a hook for the phone itself. It’s really that simple. I’ve got some software on my computer that enables me to edit the videos, some of which can be free downloads. If you’ve got a Mac, you can use iMovie. You could use the Windows Movie Maker. There’s lots of stuff out there, and you don’t even have to pay for it. I paid for my software because I do a little bit more with it, but you don’t have to. You could start simply, start cheaply, and video, it really is quick and easy. And you can also Live Broadcast onto YouTube now as well, as I’ve done before, and it can be a great way of engaging with potential customers, answer questions, doing Q&As. It’s brilliant. So it’s quick and it’s easy. Another big reason why, and it is a VERY big reason why you should be using YouTube, is that it’s the number two search engine in the whole world, right behind Google. More people search on YouTube than any other channel, any other website, any other search engine other than Google itself. And so, therefore, if you’re spending a lot of time and effort trying to do well in Google, why aren’t you spending time and effort trying to do well in YouTube? It’s crazy. Why would you not want to be on the number two search engine in the world? Come on, this isn’t really rocket science. It’s really that simple. Get into YouTube, the number two search engine in the world – watched by millions and millions of people. The fourth fantastic reason why you should be using YouTube is because, here in the U.K. at least and it’s getting that way in the States, it is the second most-visited website in the U.K., right behind Google. It’s ahead of Facebook. It’s ahead of Twitter. It’s ahead of every other website in the U.K., except for Google itself. So, again, why would you not want to be on the second most-visited website in the country? And the final reason why is because, on YouTube and on video, you can have a bit of fun. I have a lot of fun making these videos for you guys. To be honest, it is enjoyable for me. Now, I know that not everybody is comfortable with standing in front of a camera. You don’t have to do it, you can get somebody else. If you want to do a more professional setup, you can use a videographer. But the key with this is you can actually have good fun with video that you could do, again, in no other medium or platform. So to put it all together, there’s loads and loads of reasons why you should be using more YouTube videos and the key is this: It’s all about communication, all about engagement, all about trying to improve your way in which you communicate with your customers and your potential customers. YouTube enables you to do that. Not just enables you to do it, but do it for free, unlike almost any other medium on this planet. So, if you’re not using YouTube, then please take a look. At the very least, investigate how you could use it for your business. But in our view, if you’re not on YouTube, or you can’t find reasons to use YouTube in your marketing, you really are shooting yourself in the foot in your overall marketing mix. If you’d like some help with getting setup with YouTube marketing then just give us a call on 0116 3552194 and we’ll chat about our marketing support services and training. YouTube is the 2nd biggest search engine on the planet and yet very few smaller businesses even consider it important for marketing. 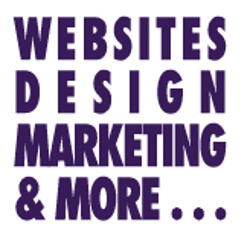 Here you can learn why it should be higher on your marketing agenda.